Jobu Reviews yet another Yankees series loss, this one against the Reds. 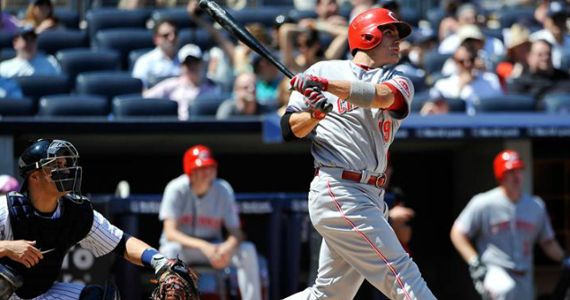 This weekend kicked off interleague play around Major League Baseball. The Yankees drew the Cincinnati Reds, who came into the series with a 19-18 record, in second place in the NL Central behind the Cardinals. 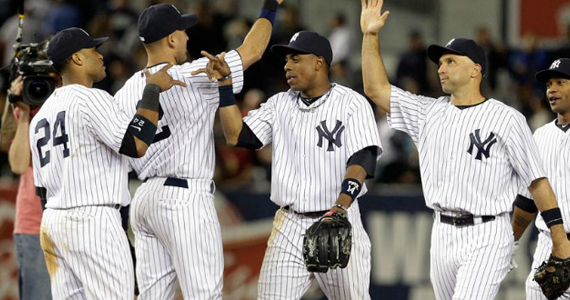 The Yankees came into things at 20-18 and in fourth place in the AL East. 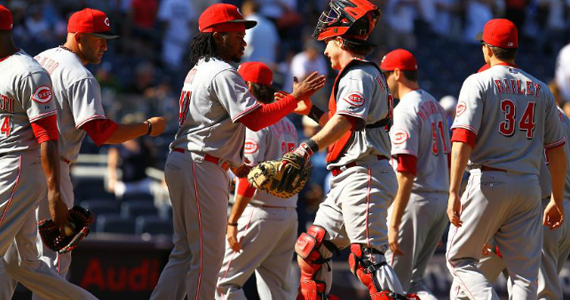 After a thrilling victory in game one, things got crappy real fast for the Yankees, and the Reds took two out of three. This was one of the better games the Yankees played all year. Naturally, the offense did very little (at least until the eighth), but Andy Pettitte had the best pitching performance by a Yankees starter all season. We covered it in Saturday’s post, so I won’t cover it again, but you can read all about it here. The 4-0 score is a little misleading. For the first seven innings, this game was a heck of a lot closer than that. The Yankees, once again, went hitless with runners in scoring position in this game. The only run they managed to get across in those first seven innings against Bronson Arroyo came on a weak RBI groundout by A-Rod. They finally broke out their lumber in the bottom of the eighth. Arroyo got Jeter and Granderson to ground out to start the inning, and I was trying to figure out how long it would take Soriano to give up the tying run in the top of the ninth. Suddenly, Arroyo hung a 2-2 slider to Canó, who blasted it deep into the bleachers to give the Yankees a big insurance run. A-Rod came up next and singled up the middle, which brought up the Yankees most clutch player so far this season, Raúl Ibañez. Ibañez got another hanging slider on a 3-1 pitch and deposited that just over the fence in right-center, and the Yankees took a 4-0 lead and a huge sigh of relief. This was almost the must-win game for the Yankees if they had solid hopes of winning the series. 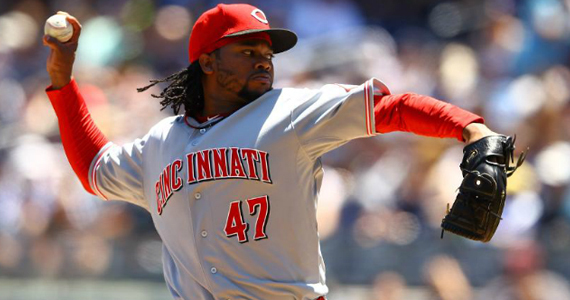 Game three would pit them against one of the best pitchers in baseball, Johnny Cueto. With visions of series wins dancing his head for game two, Girardi sent Iván Nova to the bump against the Reds’ version of Phil Hughes, Homer Bailey. There was a lot of good that went on in this game, but it was ultimately not enough. We’ve been following Nova’s struggles all season long. It’s been a season filled with small bright spots that are overshadowed by extra-base hits on mistakes up in the zone. Nova came into the game leading all major league pitchers in extra-base hits, and there were more to come in this one. He gave up two doubles in the top of the second, and a back-breaking three-run home run to Joey Votto in the top of the fifth. Those five runs (plus one that scored on an error by David Phelps in the top of the eighth) were enough to cost the Yankees this game. The rest of the time, Nova was down right dominant. Eight of his first nine outs came via the strikeout, and the big guy finished with twelve strikeouts in his six innings. He had one of the nastiest breaking balls I’ve ever seen him have, and he was using it to baffle hitters most of the game. It was annoying that he got bitten by the mistake bug again in big situations. I think the Yankees should consider sending Nova down. He needs to regain his strike zone, because the Yankees can’t afford to have the league hitting .322 against one of their starters. Ain’t nobody got time for that. The Yankees offense floundered through most of this game as they have been doing over the last month or so. The managed to put up some fence posts in the bottom of the third, fourth and fifth. They came on a solo home run by Russell Martin, an RBI double by my boy Raúl and a solo home run by Jayson Nix, in that order. They then went into full shutdown mode, not managing much of anything in the sixth, seventh and eight innings. Things got pretty interesting in the ninth though. Ibañez doubled again to start the inning and scored on a single by Swisher (yes, a real life hit with RISP!). After a strike out by Martin, Jones singled Swisher to third, which brought up Derek Jeter. Jeter continued his recent struggles by trying to ground into yet another double play, but somehow beat the relay throw to extend the game. His legs must have been feeling energized, because he then stole second, setting up second and third and two out for Granderson. Grandy went up 3-0 in the count and then fouled off a pitch (not gonna take a pitch with Canó on deck?) and swung through strike two. A soft grounder to first followed, and the Yankees lost the game. Pretty crappy overall game, and not enough late inning heroics to get themselves a much needed win. Another big game, another big loss for the New York Yankees. Also, another terrible offensive performance, and an unusual failure by Sabathia, the Yankees ace. This game was only fun to watch for half of one inning, and the rest was pretty crappy. No one was better in this game than CC Sabathia was in the first six innings of this game. The Big Lefty didn’t necessarily have his best stuff in this game, but he had a no-hitter into the fifth. In the sixth, he got out of a first and second, nobody out, situation without a run coming across the plate. It all went to hell in a hand basket (the world’s preferred mode of transportation to the Netherworld) in the top of the seventh. The Yankees had just finally broken through Johnny Cueto’s array of pitches and put up two runs in the bottom of the sixth, but they wouldn’t hold the lead for long. Ryan Ludwick led off the inning with a monster home run to make the score 2-1. After a groundout by Todd Frazier, Ryan Hanigan got another mistake from CC and crushed a solo home run of his own, to tie the game at two. Sabathia followed that up by allowing an infield single, striking out Zack Cozart and walking the next three batters (three!) to walk in the lead run for Cincy. He finally ended the debacle of an inning by striking out Jay Bruce to end it, but the damage was more than done. A couple of more runs scored in the top of the ninth off of Logan and Soriano (due partially to a bad diving attempt by Dewayne Wise), and the Yankees lost this game 5-2. The one thing that really bothered me is that CC was left in to throw 122 pitches, even after he walked the bases loaded, and even after he walked in a run. I feel like, after the walk to load the bases, maybe it was time for CC to come out of this one. He had clearly lost the strike zone, and was laboring way too much. I wasn’t really that surprised when he walked in the run. He probably shouldn’t have been in the game to face that batter. That’s Joe Girardi 2012 for ya. Sabathia’s Final Line looked like this, 7 Ip, 6 H, 3 R, 5 BBs and 6Ks, but he took the L and the Yankees lost the series. Yet again, there is really no offense of which to speak when it comes to game three. At least this time they were held scoreless for the first five innings by a pitcher actually worth his salt, and not some nobody schmo. The Yankees simply couldn’t get the big hit against Cueto in the first five innings, but they also didn’t really threaten that seriously. In the bottom of the sixth, they finally got on the board when Ibañez broke the tie with a two-run bomb to right. I can’t say enough about how good Ibañez has been for the Yankees this year. After a horrible spring, everyone pretty much gave him up for dead and made fun of the Yankees for even signing him. Once the season started, so did Raúl’s bat. He’s done nothing but hit and drive in runs, and he’s pretty much the only clutch hitter the Yankees have had in the first couple of months of the 2012 season. Ibañez now has nine home runs and 27 RBI in just 34 games despite only having 30 hits. He might not get three hits a game, but his one hit per game is usually a crucial one.